Wentworth Earl Miller III, popularly known as Wentworth Miller is an American actor and screenwriter. He is best known for his role as Michael Scofield in the Fox series Prison Break. He has later appeared in various television shows including The Flash, Legends of Tomorrow, Dinotopia, Time of Your Life among others. He has also appeared in several films. He has over 1.1 million followers on Instagram. - His role as Michael Scofield in the Fox series, Prison Break. Wentworth Miller was born on 2 June 1972. His birth name is Wentworth Earl Miller III. He was born to American parents, a father, Wentworth E. Miller II and a mother, Roxann Miller. Chipping Norton, Oxfordshire, in England. He holds dual British and US citizenship. His father is of African-American, Jamaican, German, and English ancestry, whereas his mother is of Russian, Swedish, French, Dutch, Syrian, and Lebanese ancestry. His zodiac sign in Gemini. He is an atheist. He has two sisters, Leigh and Gillian. When he was a year old, his family moved to Park Slope, Brooklyn in the United States. He attended Princeton University, where he graduated with a bachelor's degree in English literature in 1995. Miller relocated to Los Angeles in 1995 to pursue an acting career. He made his acting debut in an episode of the 1998 television show, Buffy the Vampire Slayer as Gage Petronzi. He later appeared in Time of Your Life, Popular, ER, Dinotopia, and Joan of Arcadia from 1999 to 2005. In 2005, he landed the lead role of Michael Scofield in an American television serial drama, Prison Break. His performance in the Prison Break became his breakthrough in his acting career establishing him in the entertainment industry. The four seasons of Prison Break completed in 2009. The fifth season was released in April 2017. He has later appeared in Ghost Whisperer, Law & Order: Special Victims Unit, and House. He has appeared in the recurring role as Leonard Snart/Captain Cold/Citizen Cold in 13 episodes of the American superhero television series, The Flash from 2014 to 2018. He has also appeared as Leonard Snart/Captain Cold/Citizen Cold in an American superhero television series, Legends of Tomorrow from 2016 to 2018. He made his film debut in the 2000 direct-to-video film, Romeo and Juliet. He later appeared in The Human Stain, Underworld, Resident Evil: Afterlife and The Loft. He has also appeared in the short films, Room 302 (2001), The Confession (2005), and 2 Hours 2 Vegas (2015). He had voice roles in the 2005 Stealth. He made his screenwriting debut in the 2013 British-American psychological thriller drama film, Stoker. He also co-produced the film. Later, he wrote the script of the 2016 American psychological horror film, The Disappointments. He is reportedly in negotiations to write the screenplay adaptation of the novel The Story of Edgar Sawtelle by David Wroblewski. Tom Hanks and Oprah Winfrey among others are set to produce the film. Wentworth Miller has won Saturn Award for Best Guest Starring Role on Television for his role in The Flash in 2015. His role as Michael Scofield in the Prison Break has earned him several nominations including Golden Globe Award, Saturn Award, Gold Derby Award, and Teen Choice Award. He finished in the 2nd place in 2007 Bravo Otto Award for Best Male TV Star for his role in Prison Break. Previously, he was nominated for two categories of Black Reel Awards for his work in The Human Stain in 2004. He was also nominated for Fright Meter Award, International Online Cinema Award, and Fangoria Chainsaw Award for his performance in Stoker. There is no official relationship news about Wentworth Miller. However, he was linked with various celebrities including Kristoffer Cusick, Mariana Klaveno, Luke Macfarlane, Amie Bice, and Mark Liddell. He came out as gay in August 2013. He announced his sexual orientation when he posted a letter on GLADD's website declining an invitation to attend the Saint Petersburg International Film Festival. He posted the letter to protest the Russian government policies on the LGBT community. He initially denied that he was gay in 2007. He revealed at the 2013 Human Rights Campaign Dinner in Seattle, Washington that he tried to take his own life multiple times before coming out as gay when he was a teenager. He also stated that his involvement in the ManKind Project helped him to learn about brotherhood, sisterhood, and being part of a community. He revealed via a Facebook post in 2016 that he struggled with depression since childhood and his weight gain in 2010 were due to him finding comfort in food as he was suicidal. Active Minds announced in October 2016 that he will be Ambassador for the organization. He lives in Vancouver, British Columbia, Canada. Wentworth Miller stands at a height of 1.85 m i.e. 6 feet and 1 inch tall. He has a body weight of 170 lbs i.e 77 kg. He has an average body build. He has a chest size of 40 inches, biceps size of 14.5 inches, and waist size f 33 inches. He has blue-green eyes and his hair color is black. 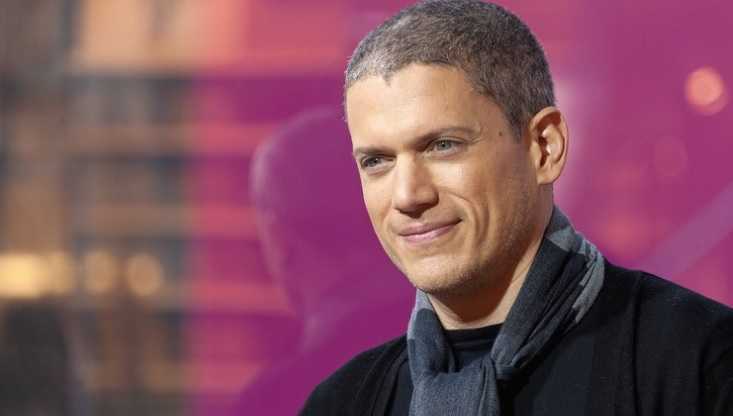 As of 2019, the net worth of Wentworth Miller is estimated at around $4 million. He has earned his fortune working in the entertainment industry. Later, he was also started screenwriting. He has also appeared in various commercials for French Cafe, Bebe, Braun CoolTec, Chevrolet Cruze, and others. His father was a lawyer and a teacher. His mother was a special education teacher. He was a member of the Quadrangle Club and the Colonial Club and had performed with the a cappella group the Princeton Tigertones while at Princeton. He has appeared in two music videos, "It's Like That" and "We Belong Together" by Mariah Carey. He had voice roles in an episode in Family Guy and Young Justice. He has appeared as Michael Scofield in the 2009 Television film, Prison Break: The Final Break. He had an uncredited role in the 2009 film, Blood Creek. He has voice role of Michael Scofield in the 2010 video game, Prison Break: The Conspiracy. He is allergic to cats, dogs, and particular foods.